A Description of the Professional Subjects Taught at SPSE Havířov School. They work with Moore and Mealy automat and simple examples such as vendor automat, garage etc. 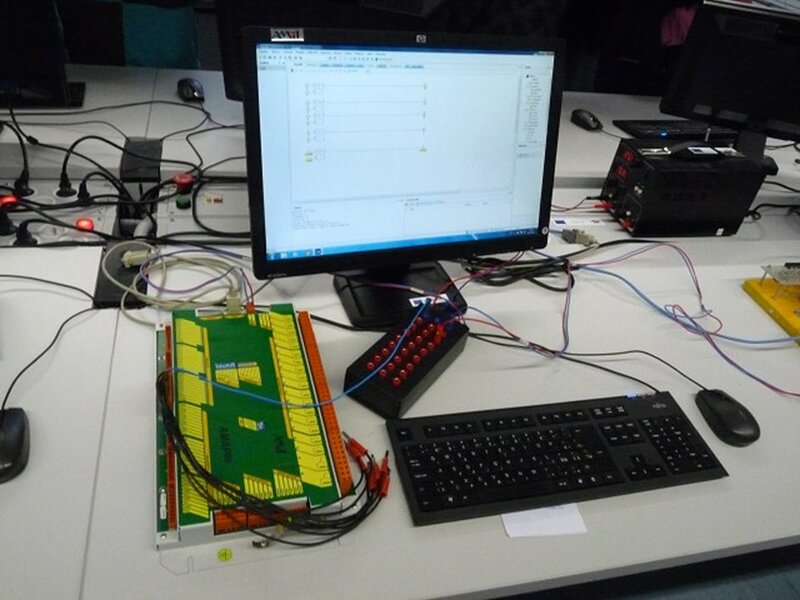 Next they study an embedded digital system with the ARM microprocessor STM32F4, 32-bit registers, ports, timers, interrupt systems, A/D and D/A converters and DMA controller. In the laboratory students have expanded kits STM32F4–discovery wih LCD, 4x3 keyboard, serial RS232 channel, thermistor etc namely photo no.2. Projects we make in Keil vision 5 IDE with compiler in language C namely photo no.3. Simply projects as luxmeter, exchange office or signal generator D/A driving external amplifier namely photo no 4. More complex examples are written with real operating systems for embeded devices (RTX Keil). 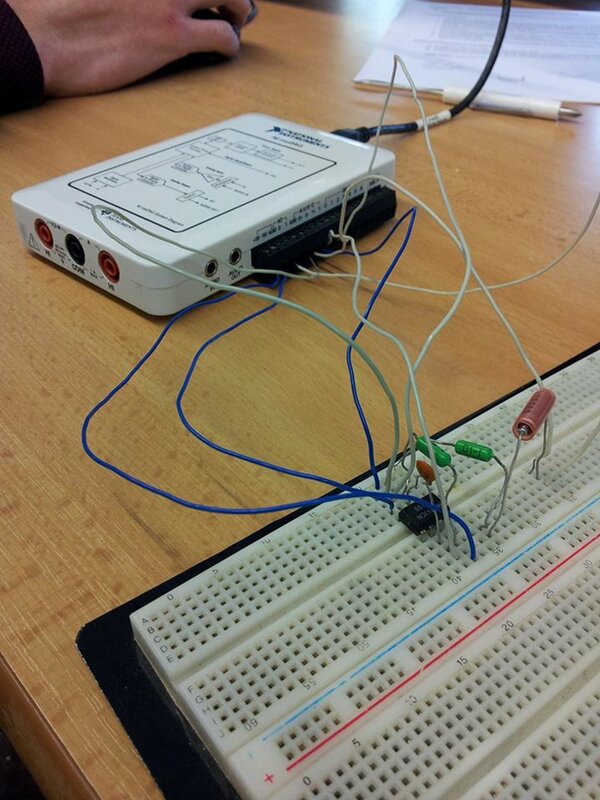 Students upload sound through the microphone to the ARMSTM32F4 memory and process it. The sound source is a tuner or a bell namely photo no. 5. In a special laboratory, we teach students how to assemble a PC, install the operating system and backup programs. Students also have to master the practical examination for the Czech graduation examination. We teach the user interface on the UNIX server, Unix file system, bash scripting language for server driver, set up FTP and DNS services namely photo no. 6. 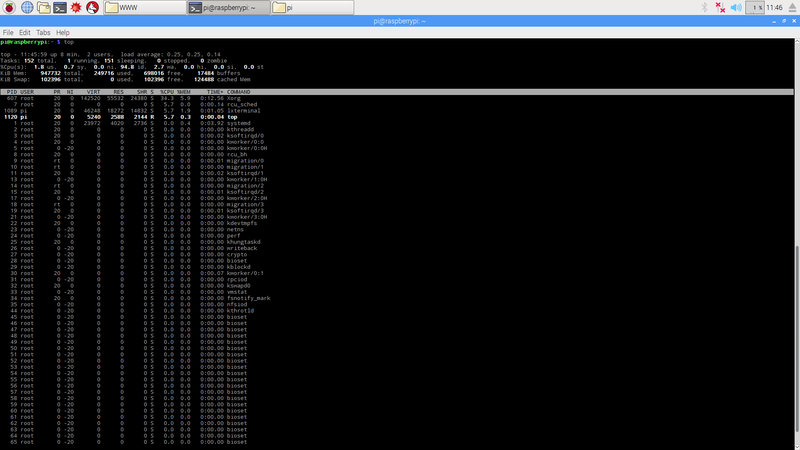 Next year students will learn the windows server 2012 and the Real time operating system Keil. Education in computing and automation systems is based on the fundamentals of physics, electrical engineering and electronics (but also mechanical engineering, technical drawing and knowledge in the field of informatics and programming). Students will acquire knowledge of the basic principles of electrostatic and electromagnetic phenomena and will be able to apply them in the analysis of physical properties and the design of electrical and electronic circuits. They understand and can apply basic electronic components and can use them in standard electronic circuits of transmission electronics systems, logic circuits, etc. Students design and analyze basic electronic circuits use rosoft Office and OrCAD software. Electrical and electronic measurement serves as a tool for analyzing properties and controlling the functionality of all electronic circuit devices. Students in this subject acquire the skills correctly by individual measuring instruments and systems, as well as to apply the methods of measurement. In addition to working with classic single and multi-purpose measuring instruments (oscilloscope, multi-meter, etc.). Their core work is to acquire skills in system engineering software for applications that require testing, measurement and control with fast access to hardware and data from National Instruments – LabVIEW - namely photo no. 1. Students present their skills during the practical and oral final state graduation at the end of the course. 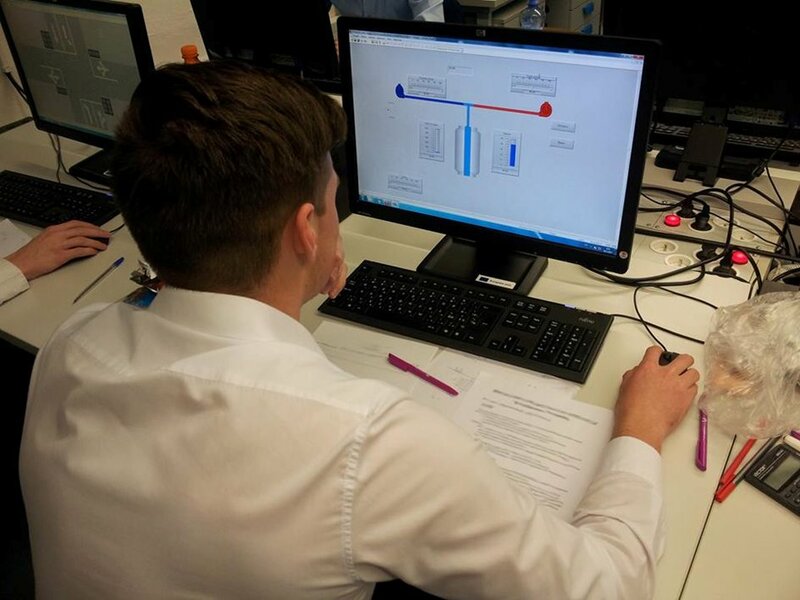 The teaching subjects (theoretical and practical) of the automatic systems represent above all - basics of control, control systems, visualization and simulation. 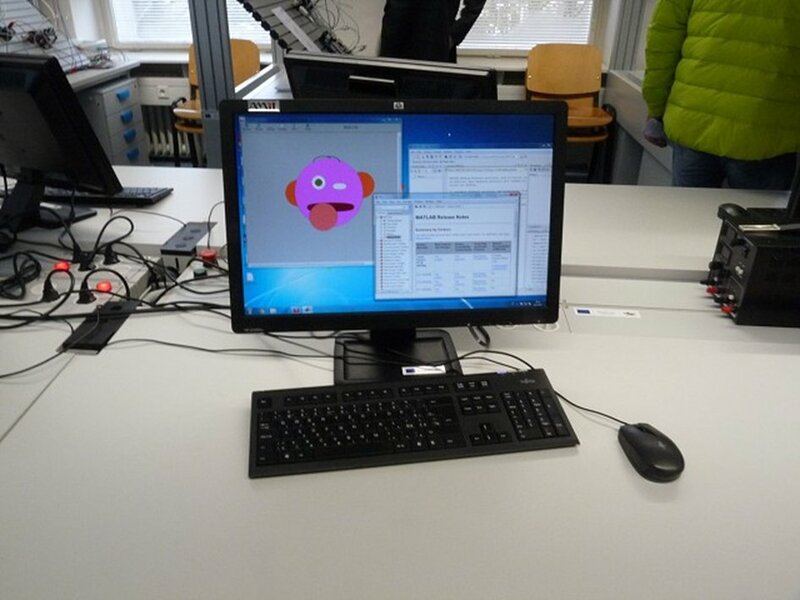 Students are introduced to basic principles and functions of sensor technology, control and regulation and acquire the skills to apply this information when designing simple control and regulation of technological processes. They can also visualize these control processes using simple visualization tools (signaling) and computing techniques. We use the control systems (PLC) of the Czech company AMiT-ADiR, AmiNi - namely photo no. 2, control and design software DetStudio, simulation and visualization software of the Czech company Microsys – Promotic - namely photono. 3 and photo no. 4, and for the simulation, analysis and visualization of the dynamic properties of the regulated systems US software firm MathWorks - MATLAB. 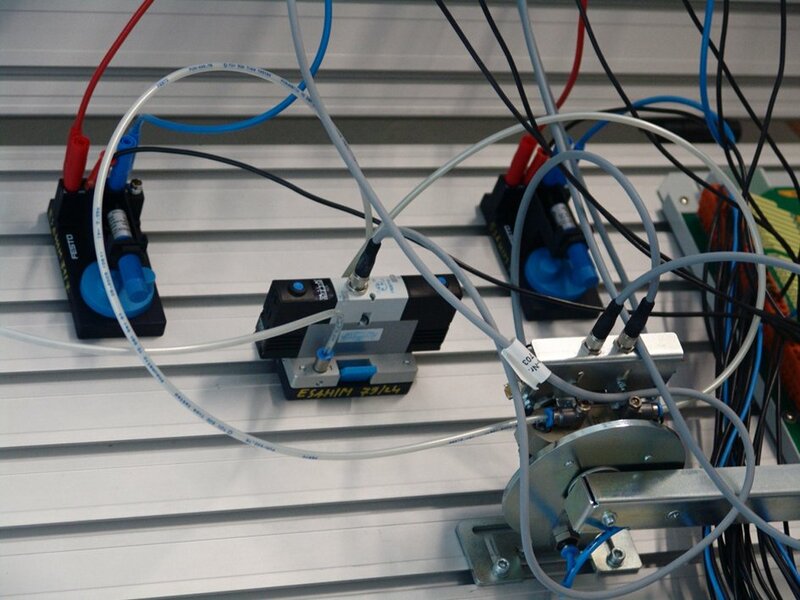 The virtual design of simple technological processes and their automatic control are realized by students using the pneumatic and electro-pneumatic systems of the German company Festo - namely photo no. 5 and photo no. 6. Their design and functional simulation is done using their FluidSIM software. Students present their skills during the practical and oral final state graduation at the end of the course and are ready to fulfill the tasks of the 4th Industrial Revolution – Industry4.0 .